Whether you’re just starting out, or your business just isn’t seeing the profit growth it used to, you’re probably wondering what you can be doing to set yourself apart from the competition and boost your sales. The right call to action can turn a pretty good graphic, paragraph, or web page into a profit-making machine. Understanding the function and benefits of a good CTA will help you choose the best one that will speak to your audience. A good CTA is short, easy to read and understand, and looks clickable (that is the goal, of course). Where your call to action goes on the page also makes a difference. 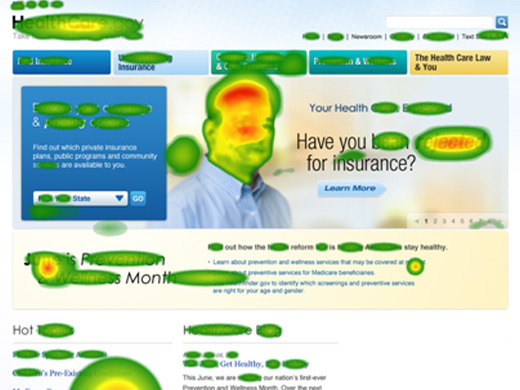 The above image is an eye-tracking map that shows what people are looking at most on a page. This is true for any content on your page, but if your CTA is down in a corner where no one is going to look, then obviously, no one is going to click it. Knowing where people are looking on a page (according to research, people usually spend around 70% of their time looking at the left side of a page and only 30% looking at the right) will help you to construct the best visual hierarchy of the elements on the page. Take another good look at that image above. Notice that having too many places to click is probably the number one biggest distraction from getting a visitor to complete your goal. Are your ecommerce product pages full of links that are scattered all over the place? What about your home page? Take an inventory of all the possible places a visitor can click and consider consolidating links and removing unnecessary CTAs on those pages. Remember, when it comes to ecommerce conversions: less is more. 2. Make sure your copy is picked up for SEO. You might have the most beautiful, exciting, empowering copy on your website, but if you aren’t thinking about how SEO will pick up that text, you’re not getting the most out of your amazing prose. For example, including important copy in an image gives you a lot of freedom to make it look exactly how you want it, but those words aren’t going to get picked up for searches. You have to decide if it’s more important to have the visual effect or have some limitations on the style of the words but allow for them to be picked up for SEO. A lot of times, businesses aren’t thinking when they put text into an image, and they lose a lot of their most searchable terms. There are, of course, a lot of ways that you can improve your site’s SEO and get on the top of the search results, like using the most searchable terms in your URLs and writing really good meta descriptions that will get people interested enough to click through. 3. Slow load times are a killer. No one likes a slow loading website. If your pages take forever to load, it’s probably affecting your overall revenue, not to mention annoying anyone who tries to navigate your site. You can decrease load times by reducing file size (those graphics probably don’t need to be high resolution for the average user) and being careful about the external plugins you’re using on your site. A good exercise is to run a decent-sized sample of your site’s URLs through a tool like Pingdom. If your pages take more than 3 seconds to load, make it a priority to improve their page load times. Start with optimizing your images so that they become a smaller file size. Usually, that will take care of the majority of your slow loading pages. If you’re still having a hard time reducing page load times after that, consult your developer to see what can be done to the site’s backend to improve speed. Having a sale is a great way to increase traffic to your site and bring in revenue in a big way. For example, the video game company Valve ran a sale a couple of years ago and found that when their games were discounted 75%, they saw an incredible 1470% increase in sales (which translated to a 293% increase in revenue). That’s a huge increase in sales, and even though their product was discounted, the sale made them a bunch of money. Of course, there are situations where a 75% price drop would mean you’re losing more than you’re making, but the moral of the story is that sales work to bring in customers, create buzz, and generate revenue. The most important part is that it not only will bring in customers, but it also gives you an opportunity to create lifetime customers. That’s the real value of an epic sale. Don’t look at it as a chance to make a bunch of revenue on one day. Think about how you’re going to retain those customers for as long as possible. That’s where the dollars are. How do you plan on getting them to sign up to your newsletter? Why would they even want to be on your newsletter list? What can you do to make getting emails from you irresistible? How’s your support experience? Is it so good that they would call you randomly just to get a kick out of the phone experience your company provides? What’s your unboxing experience like? Are customers thrilled when your products finally look at them face-to-face? What would make them post their unboxing experience to YouTube? Do you have a system to bring them back again? Like coupons for their next visit? 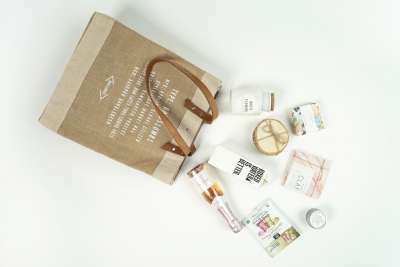 Or creating personalize grab-bag offers that show you know exactly what they like? By the way, how well do you know your customers? On an individual level? Remember, the best marketing you can do is to get customers to talk about you to other people. What that comes down to is designing a complete customer experience from the first visit to years down the road…that is like nothing else. 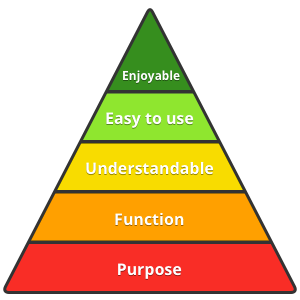 This pyramid represents the hierarchy of what’s important to user experience. The foundation, the reason for them being on your site in the first place, is the purpose. Having an enjoyable website is important, of course, but it can’t be enjoyable if it’s impossible to understand or use. No matter how beautiful or cool your website looks, if a customer can’t find what they’re looking for pretty quickly, they’re just going to go to another site, and you’ll lose their business. Simple, straightforward design is always a safe way to go, especially as an ecommerce site. Let your products speak for themselves and you’ll end up with an easier to use, more professional looking site. 6. Promote to the right people. You might know exactly who your audience is right now, but people change and evolve, and the way you market to them needs to change too. Staying current can include how you talk to customers (the trend tends to be toward more casual tones), where you’re promoting yourself (what social media sites you use and if you choose to do TV, radio, print ads, mailers, etc. ), and what values your company is embracing (sustainable business practices, for example, are increasingly important to customers). Social media is a great tool for getting to know your customers better. It’s a space where, if used right, you can have genuine interactions, share content and receive feedback immediately, and ask people for their opinions without feeling like you’re annoying them. Putting a tweet out asking people to share their opinion is a lot less intrusive these days compared to getting a phone call for a customer survey. 7. Encourage customers to leave a review. User reviews have a huge impact on customers who might be on the fence about buying (and a bad customer review can certainly put them on the fence). 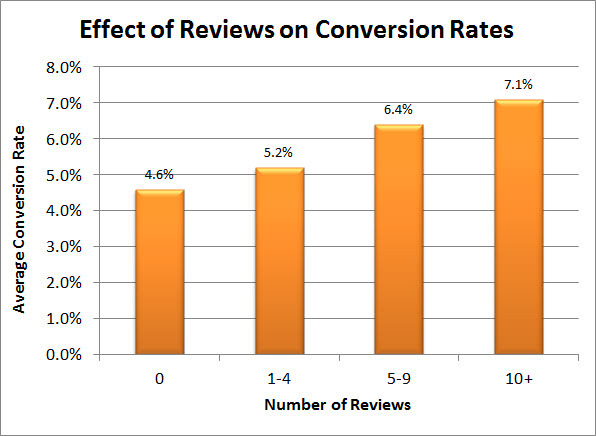 Getting customers to leave reviews is often a surefire way to increase your conversion rates, as the graph above shows, and, in turn, increase revenue. Negative reviews don’t have to be the end of the world, either. If you stay on top of responding to negative comments, apologizing and working to fix the problem, you’re basically advertising to potential customers that your business has great customer service. By the way, it turns out that customers that look for negative reviews actually convert at a higher rate than those who don’t. Your website might seem like it’s getting the job done, but even a simple change could increase usability and encourage more sales. You’ll never know what small adjustment will make a huge difference until you test some different options. 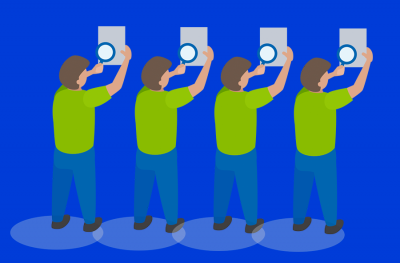 A/B testing allows you to learn what your customers respond to the best. When you do those kind of comparative tests, you’re learning what CTA, color, copy, etc. gets the most clicks. You can then use the one that came out on top, knowing that you’re using the best possible option. You’re the expert when it comes to your products, so put that expertise to work! Putting together a couple of landing pages with highlighted products will give customers a good place to start shopping if they’re feeling a little lost, and it will give your site a more editorial, exclusive feel. You can create collections around events (gifts for Father’s Day, for example), what’s new, what’s on sale, or by category. You also get the added benefit of directing customers to the products you really want them to be looking at, and hopefully you’ll be able to boost sales on best sellers or more high-end options. Curated content will give your business an edge over others and boost the value and credibility of your site. 10. Optimize for web, mobile, and tablet. 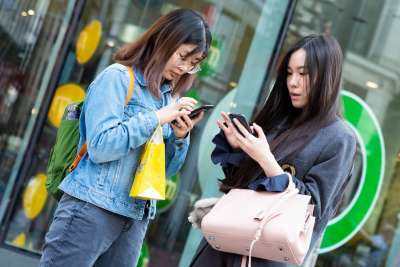 More than half of people with smartphones use their phones to shop online. If your website isn’t optimized for mobile use, you could be losing a lot of business, and this is a trend that’s only going to continue with more and more people shopping on their phones. A lot of the time, images that look really good on a computer screen are nearly impossible to read on a smartphone or tablet screen. Making sure everything scales well and doesn’t get jumbled and illegible at various dimensions. Whether your business is already doing well and you’re just looking for ways to streamline your customers’ experiences, or your profits have plateaued or even started falling and you’re looking for ways to reinvigorate business, trying a few of these tips couldn’t hurt. Sometimes all it takes is a small adjustment or a simplification to see a big difference in revenue. What small changes have you made that made a big difference in your revenue?